Campaign Preview is only available to those on Legacy and MSP plans with an ACTIVE Custom Social Portal URL. 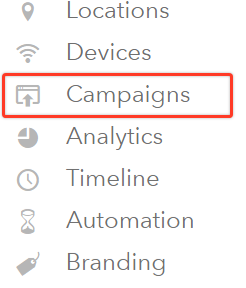 In your dashboard select the Campaign tab. Choose the campaign you would like to send a preview of to your client. Copy the preview link by clicking the Preview Link button, which will open the preview in a new tab, you can copy the link from the address bar or right click the Preview Link button and choose "Copy link location". Once you have copied the link you can paste it in an email or communication of your choice and send it to your client. Once they click the link they will be directed to your login page in their browser, have the ability to login with any of your social logins and experience the entire flow of your campaign.